The corner of Wedgewood and Sullivant has been a popular location for taco trucks over the years and we’ve seen several trucks come and go there. We hope that El Habanero (some parts of the truck say ‘El Abanero’) will buck the trend and stick around for the long haul. 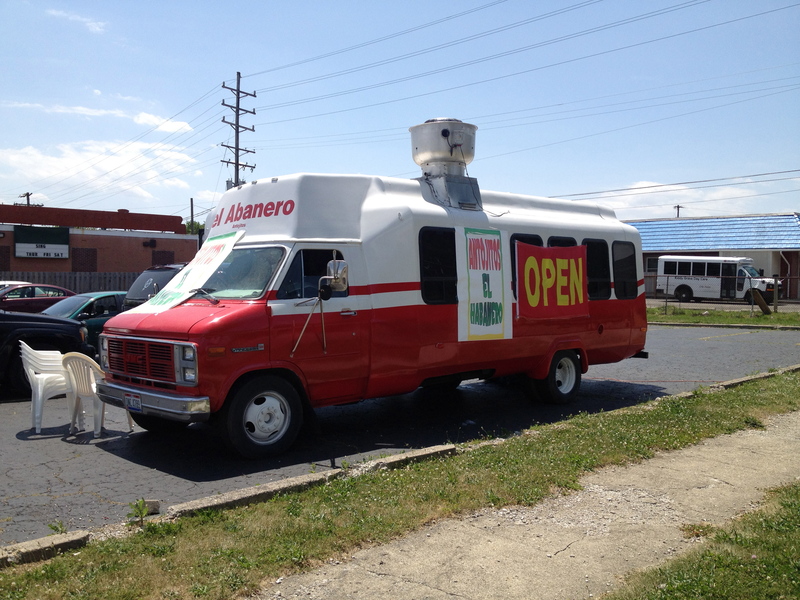 The owner is not new to the taco truck business but recently moved to Columbus from elsewhere in Ohio. From the (surprisingly inexpensive) tlayudas on the menu we correctly guessed that she’s from Oaxaca. We tried a range of tacos and a gordita. During our visit they only had asada, carnitas, pastor and chorizo available. 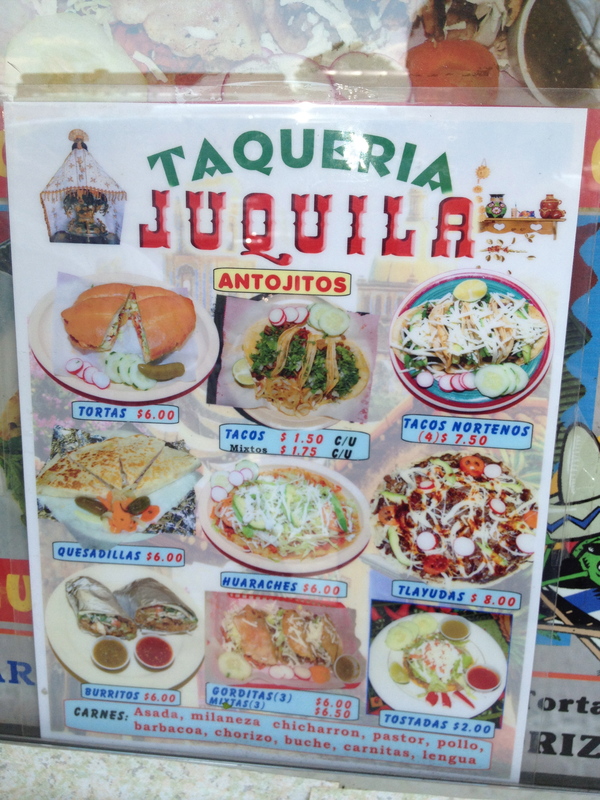 We aren’t sure if they’ll have lengua and buche as the menu is clearly recycled from another truck (or the previous owner). What a beautiful plate of tacos! We had one each of asada, chorizo and al pastor. The al pastor was very finely chopped, good flavor but surprisingly hard to distinguish from the chorizo. Salsas were nice and thick and obviously freshly made. 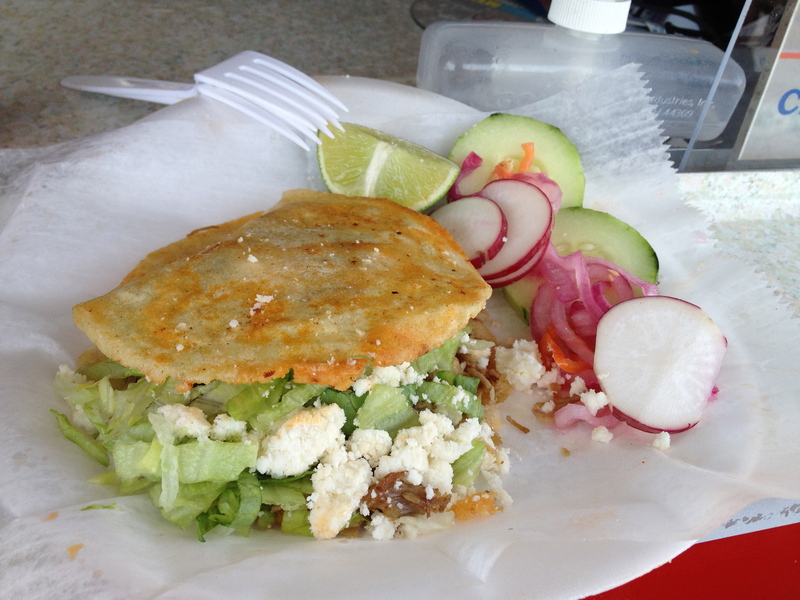 The gordita had a great crispy shell but the carnitas was perhaps a little on the dry side.